Radford Coffee Company is a piece of a larger reaching partnership. With coffee shops in Vero Beach, Florida and Utila, Honduras, RCC is a part of a sisterhood of shops supporting the education of Miskito children along the Coconut River (Rio Coco) in Nicaragua. ​We are a group of people who are interested in reaching out to our local community and our world. Many of us have traveled or lived in other places around the globe and have a love of other cultures and customs. While we celebrate their lives, we also know that helping with clean water, education, and a safe place to live can greatly impact both young and old. We want to enable more people to have the opportunity to join in opening life changing opportunities to some of the poorest people in the Western Hemisphere. Your purchase from the New River goes to support our school project along the Coconut River. From river to river, we are connected through coffee and Project Ezra. 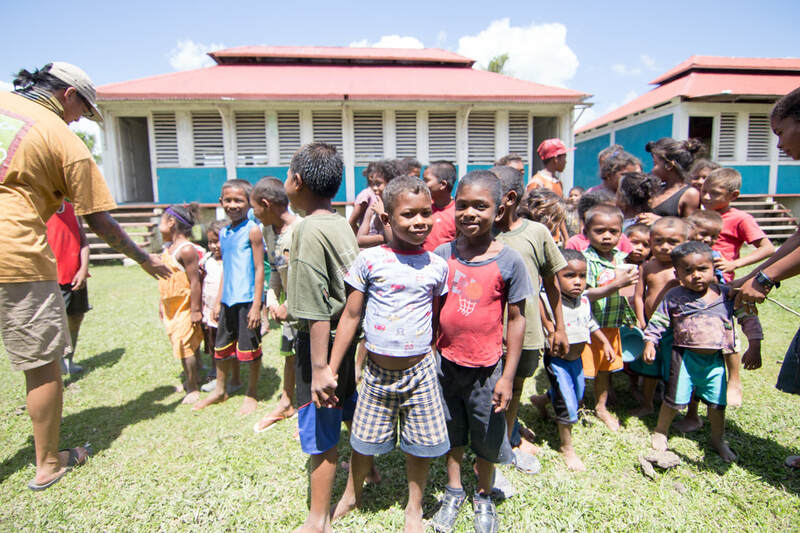 This project, started in 1986 by Mike and Laura Bagby, educates roughly 1,800 Miskito children in 8 different schools along the Rio Coco in Nicaragua. Thousands of children and adults have been helped over the years through the education project. In fact, many of the teachers on the River were our first students! When you are enjoying a cup of coffee at Radford Coffee Company, not only are our profits educating children in Nicaragua on the Rio Coco but we are also involved in many local New River Valley Projects in Virginia. Along with your smile and satisfaction, this coffee is bettering the lives of many people locally and internationally. Our team had the opportunity to visit some of the schools along the Rio Coco River in Nicaragua during the spring of 2017. Below are photos captured during that trip! Remote and beautiful, the Rio Coco (or Coconut River) is home to the Miskito people. Everyday the money that Radford Coffee Company raises helps in the education of Miskito children in communities along the Rio Coco. These schools are located in areas that have no electricity, running water, or roads. The schools are reached only by foot or dugout canoe. The Rio Coco is the boundary line between Nicaragua and Honduras. Project Ezra provides education from kindergarten through 6th grade with 54 teachers in this part of the world. The coffee shops enable teachers to go to teachers’ college, pay their salaries, pay for the curriculum and buy school supplies. Medical teams, construction projects, and disaster relief are also a few other things that we have brought to the river over the years. You can visit our sister shops through the links to the right. These shops were started by the Bagby family, who the Johnsons served with until late 2015. After working in the Rio Coco Cafes, Eric and Barbara came back to Virginia to start Radford Coffee Company to expand the opportunity to others to be invovled in changing lives through coffee.